Gum disease is a chronic condition—once you’ve got it, you can manage the symptoms, but the damage to the structures that support your teeth cannot be reversed. That is why it is so important to be vigilant with preventive measures. Not only can this incurable condition lead to tooth loss, but it is also linked with several major health problems, including Alzheimer’s disease, high blood pressure, respiratory disease and diabetes. Fortunately, this condition, which is also called periodontal disease, is easy to prevent if you take proper oral care measures at home and see your dentist every six months for a checkup and thorough professional cleaning. 1. Flossing: You should floss at least once a day, gently sliding it against each tooth and under the gumline several times to ensure that the plaque is effectively removed. 2. 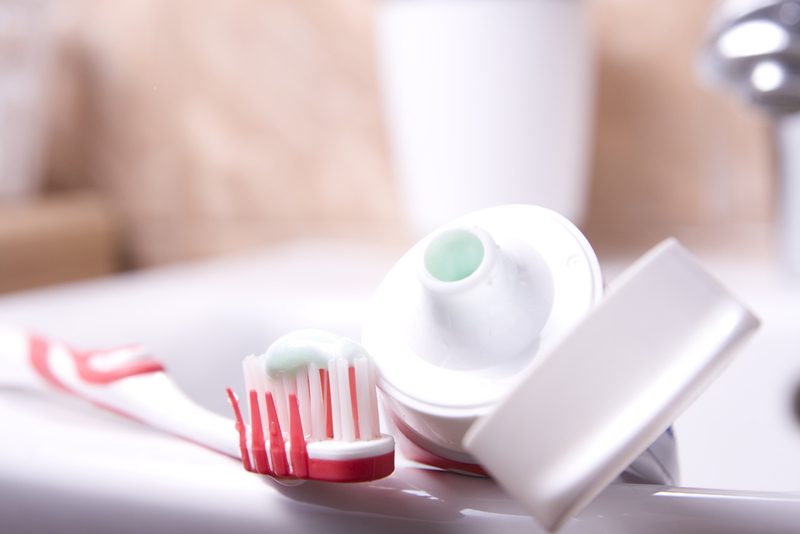 Brushing: At least twice a day, brush all tooth surfaces, the gums and the tongue with a fluoride toothpaste. 3. Using Mouth Rinse: While brushing and flossing alone are usually enough to keep plaque under control, your dentist may recommend that you add an antiseptic or plaque-reducing mouth rinse to your cleaning routine. 4. Eating a Healthy Diet: A diet that is low in sugar and saturated fat and high in antioxidant-rich vegetables and fruits can support the immune system and keep gum tissues healthy. 5. Avoiding Tobacco Products: Over 60 percent of smokers develop gum disease. The harmful chemicals in cigarettes and smokeless tobacco products interfere with the functioning of gum tissue cells, decrease the flow of oxygen-rich blood to the gums and weaken the immune system. Seeing your dentist every six months is important for two reasons: prevention and early detection of oral health problems. 1. Teeth Cleaning: You love the look and feel of your teeth after the dental hygienist removes tartar and polishes the enamel, but there’s more at stake than aesthetics when you have your teeth cleaned. Removing plaque and tartar along the gumline helps prevent the inflammation and formation of pockets between the gums and teeth that are characteristic of gum disease. 2. Examination: Along with inspecting your teeth for decay and screening you for oral cancer, your dentist looks for signs of gum disease at each checkup. Because the earliest stage of gum disease can be reversed with proper treatment, you can’t afford to miss your routine dental appointments. The precursor to gum disease is gingivitis, which occurs when a buildup of plaque irritates the gums, causing inflammation and bleeding. If you notice tender, swollen or bleeding gums after you brush and floss, make an appointment with a dentist near you immediately. In most cases, gingivitis can be reversed by stepping up your oral hygiene routine at home and obtaining a deep cleaning of your teeth and gums at your dentist’s office. With proper treatment, gingivitis need not progress to full-blown gum disease.